Hey I have been hearing some creaking noises from the front suspension/steering, usually when turning or stopping. I know its not the ball joints and the cars 20 years old so I know it couldn't hurt to do the bushings, so my question is do I need to press in the bushings for the steering rack, or can I just kinda pop them in? I know I will need to press in the ones for the control arms and the suspension mounts, I'm just trying to avoid completely removing the rack and having to disconnect the lines. Here are some pics to show you what I am talking about, they are not mine or of my car. Thanks for the help. I'm pretty sure you are gonna have to press those out and back in. 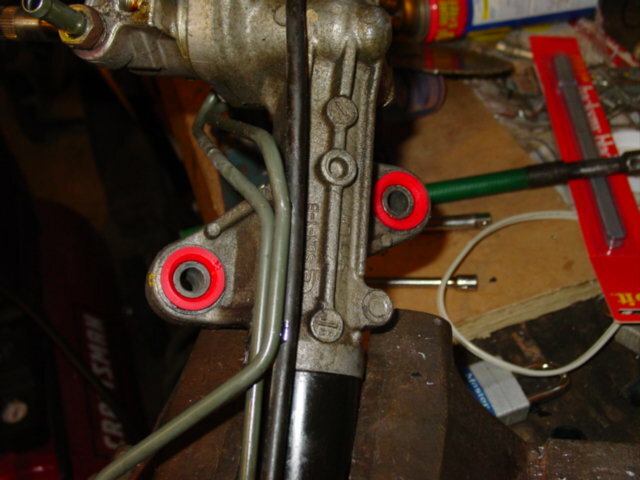 You'll likely have to press them out, because the stock bushings are usually molded in place or bonded. The small bushings will slide into place because they're a split bushing (according to your picture) so one half installs from each side (super easy but not a great design). 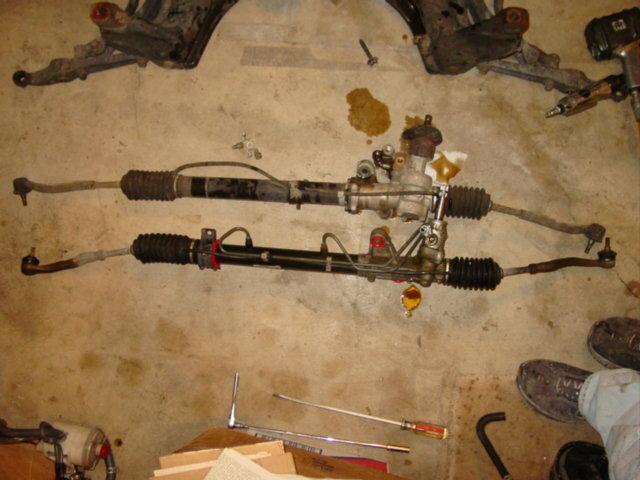 The big bushing will slide into place on the rack once you take the tie rod boot off it looks like. This looks like a really easy install if you can use something like a ball joint press to remove the small bushings when the rack is still connected to the car. Thanks I really appreciate the input. So even though its energy suspension it might be better to go with OEM because of the design? Should be fine for a steering rack, Energy stuff is pretty good usually and will be firmer than stock which is usually a good upgrade if you can deal with a tiny bit of extra noise and vibration. The rack will likely need to come completely out of the car if you replace with OEM.. Just use the Energy parts and move on to the next thing. Last edited by Fabrik8; 11-23-2014 at 06:10 AM. CIMSPORT interior sale jdm eg6 steering wheel, del sol seats, teg rear seats etc!! !